Langtang is a narrow valley situated 175 km north of Kathmandu, lies close to the Tibetan border. It takes about six to seven hour bus ride in Pashang Lambhu Highway from Kathmandu - Trisuli - Dhunche - Shyabru Besi. From Shyabru Besi, you walk for a couple of days among beautiful snow peaks of the Ganesh and Langtang ranges. Follow the Langtang Khola River finally arriving at Kyanjin Gompa at 3900m. Kyanjin Gompa is the furthest place in the valley where you will find lodges to stay. There are many options to explore one or more days around Kyanjin Gomba valley. 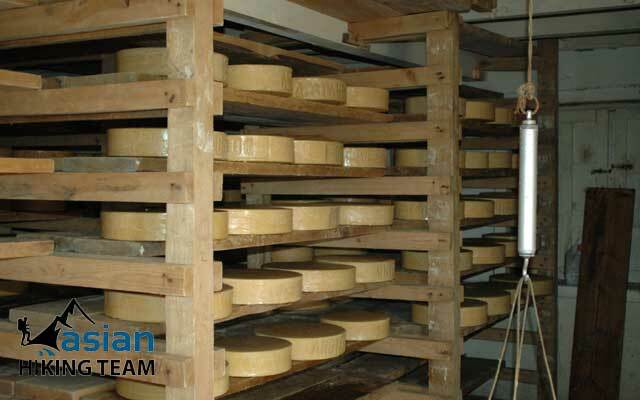 The cheese factory near the Gomba was started as a Swiss project in 1955, with rounds of cheese carried to Kathmandu over the Ganja La pass. Climb the lateral moraine to east of the glacier. If you want to climb up to the trough on the west side of the glacier, you will come to as often frozen lake. Head east from Kyangjin Gomba to reach Tsego Ri as excellent viewpoint, head west from Yala Kharka or continue circling the hill, reaching the prayer flag-festooned summit (4784 meters) in 2 hours. From the top to the south you can see Ganjala pass leading into Helambu and Naya Kanga, the trekking peak summit to its west. The surrounding peaks are quite spectacular. From Kyangjin Gomba, you can also head up to the valley to Langsisa, the last summer pasturing settlement. Ahead lies the main Langtang Glacier and the Tibetan border, a hard day’s climb away. To the south lie beautiful Buddha peak and the terminus of the East Langtang glacier. There is big reddish rock at Langsisa that according to legend is that color because of holy man living outside the valley lost his Yak and tracked it to this place. The Yak died here Langsisa mean place where the Yak (Lang) died (sisa)}. A few miles up to the valley to the southeast, two big rock gendarmes stand a hundred feet above the glacier. They are said to represent two Buddhist saints, Shakya Muni and Guru Rimpoche. Our trekking itinerary brig you inside Langtang Valley within 3 days, explore one full day in Kyanjing Gomba than recommended descend to Syabru Besi; take a bus / jeep to Kathmandu. A powerful earthquake 7.8 magnitude shook Nepal on the 25th of April 2015 causing many human casualties and destroying Langtang village and Kyanjing Gomba. However, It was already opened for tea house / Guest house trekking. It is also noticed that if you will visit to this area the local people can take benefit so we heartily welcome to visit in that area and take a 10% discount. Day 01: Arrive Kathmandu; transfer to Hotel (B). Day 02: Kathmandu to Syabru Besi (1400m) by Tourist coach 6-9 hours drive, overnight at Hotel (B/L/D). Day 03: Syabru Besi trek to Lama Hotel (2748m) 6 hours, overnight at Guest house/Lodge (B/L/D). 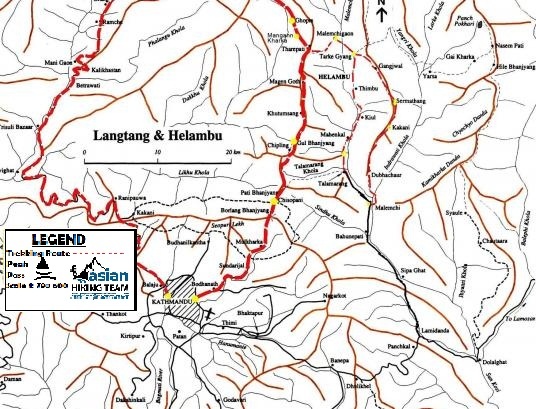 Day 04: Trek to Langtang village (3500m) 4-5 hours, overnight at Guest house/Lodge (B/L/D). 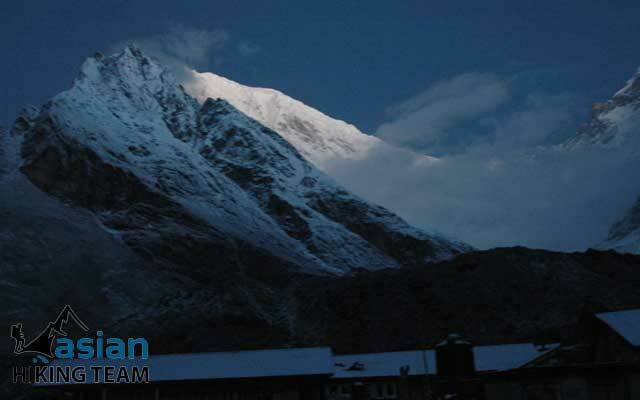 Day 05: Trek to Kyagjinj Gumba (3800m), 3 hours, overnight at Guest house/Lodge (B/L/D). Day 06: Rest day in Kyangjin Gumba, overnight at Guest house/Lodge (B/L/D). Day 07: Trek to Lama Hotel (2784m) 5-6 hours, overnight at Guest house/Lodge (B/L/D). 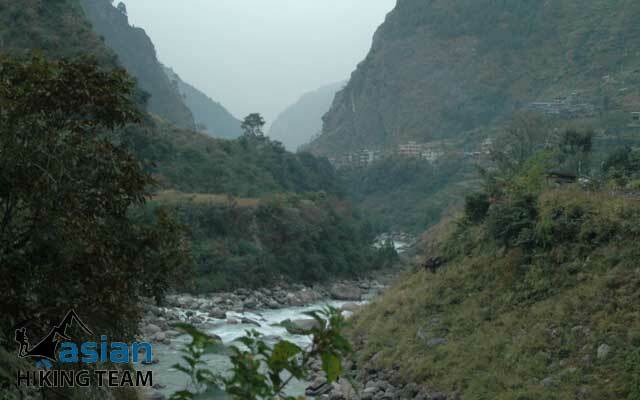 Day 08: Trek to Syabru Besi (1400m), 5 hours, overnight at Guest house/Lodge (B/L/D). 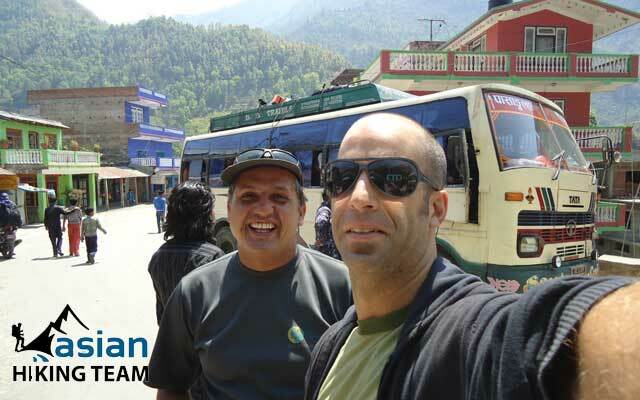 Day 09: Drive to Kathmandu by Jeep or Bus 7-9 hours (B/L), transfer to hotel. Day 10: Depart from Kathmandu (B). 1 - 4 Pax US$ 770 per person. US$ 595 per person. 5 - 10 Pax US$ 670 per person. US$ 495 per person. Above 10 Pax US$ 564 per person. US$ 485 per person. Single supplement* US$ 100 per person. US$ 100 per person. * Deluxe Service includes attach Bathroom during the trekking and Pravite jeep/Car to/from trekking starting place. Single Supplement includes single room in cities. All land transportation by Tourist Coach,(Airport /Hotel/Airport & Trekking pick up & drop). 2 Nights Accommodation in Kathmandu, 3-4 star hotel with breakfast. Major Meals; Breakfast, Lunch and Dinner by Tea house/Hotel menu. 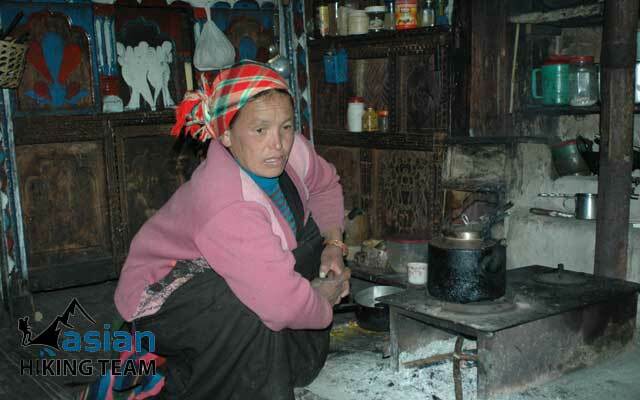 Accommodation during the trekking as best available Tea house / Lodge / Hotel. Welcome dinner in Traditional Nepali Restaurant. Trekkers’ Information Management System “TIMS” (Trekking permit). 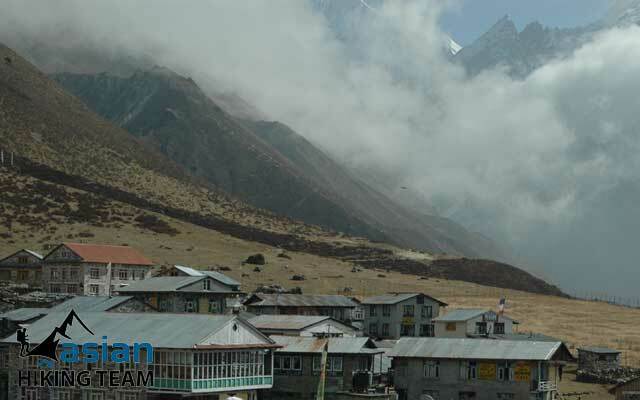 Langtang National Park permits, fees. Monasteries and Temple entrance fees during the trekking. Professional equipped English speaking Trekking Guide. Two clients one Porter plus five clients one supporting Sherpa. Trekking insurance for all support crews and their daily wages, accommodation, meals. Trekking Equipment for support Crews. Personal natural expensive except above programs. Day 01: Arrival day in Kathmandu (1335m) (B). Upon your arrival at the Tribhuvan international airport our representative welcomes you and assists to transfer in your hotel in Kathmandu. We pick up from your hotel to Balaju Bus Park than we start drive as group communication (At 6 to 8 am) through the Pashang Langbu Highway, Trisuli – Dhunche - Shyabru Besi (1460m); 6/9 hours. The bus staff for breakfast and Lunch as Nepali time. We will bring you pack breakfast or take your breakfast before in hotel Kathmandu. Whenafter reach in Shybru Besi exploring around the valley or Chileme Hydro Power project, Overnight at Hotel. After breakfast, start trekking on foot crossing the Bhot Khola river and very soon within 2 minutes again cross Langtang Khola. Following Khola into grassland to reach dovan and Pahiro. May we have lunch in Pairo if you are hungry otherwise continues walk inside jungle. It is much possible to see hug monkey and others wild animals. From Pairo one hour walk to reach Bamboo. The trail continues follow the up river valley than cross the Langtang Khola. After crossing the Langtang Khola (Langtang gorge) steeply climb to reach Rimche 1 hours. From Rimche we need another half an hours to reach Lama Hotel. Originally its call Changtang, 2340m. Overnight at Lodge. After breakfast, trek start around 7/8am O'clock. First part trekking into jungle following the Langtang Khola. Crossing the Gumnachock, Chhunama, Ghodatabela where is national park office in Ghodatabela. We need chick permit and continues climb Chyamki and Langtang village (3420m), it takes 5 hours see the view of Langtang range. After earthquake there are all disaster so that we little walk to Mumdu for overnight stay, overnight in Lodge. Today trekking is easy and short distant. Left the Langtang village. Gradually climbing up, passing mani wall. We will recommend to our client to walk in left side as culturally. Passing Sindu old village then reach to Kyangjing Gomba (3900m), 3.30 hours. The view of Langtang Lirung and all range is unbelievable. Kyangin Gomba is last place of our trekking in Langtang valley. Here is monastery, cheese factory, Mountain View, mountain Lake and glacier etc. You are very near the Langtang Lirung glacier. If you are interest and weather is fine after lunch to climb Kyangjin Ri 4050m 2/3 hours both way, overnight in Lodge. Today is rest day so a day trip around Langshisa Kharka 4160m 4/5 hrs both way or climb Cherko Ri (4984m) 5 hours both way, or visit Ganjala pass or NayaKhanga valley, or enjoying the view from hotel and Yak Cheese, you can talk with guide and decide, overnight in hotel/Lodge. Trekking all the way return to Lama Hotel (Changtang), 6 hours. The distant looks far but coming down is feeling easy so it should be fine. Overnight in Lodge. Today is our last day of trek it takes 5 hours on the way back to Syabru Besi; relax rest of the time, overnight in lodge (B/L/D). Same way as day 3, drive to Kathmandu 6/8 hours by Jeep or Local bus. Day 10: Depart Kathmandu or next trip (B). Final departure as your time schedule. We will be with you to drop airport or next trip. Camera & accessories, Penciled, note books, reading books, Passport, Cash, credit card etc.